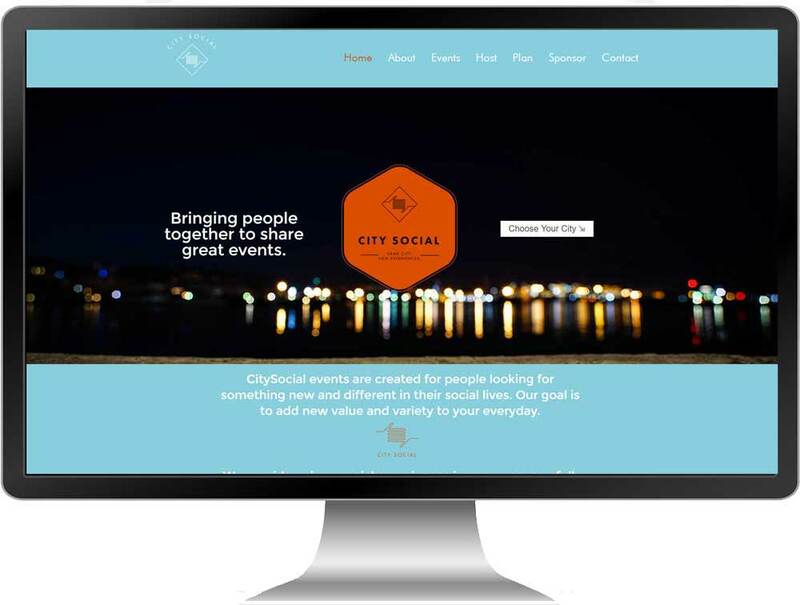 CitySocial is a brand new company geared towards event planning in Raleigh, NC. 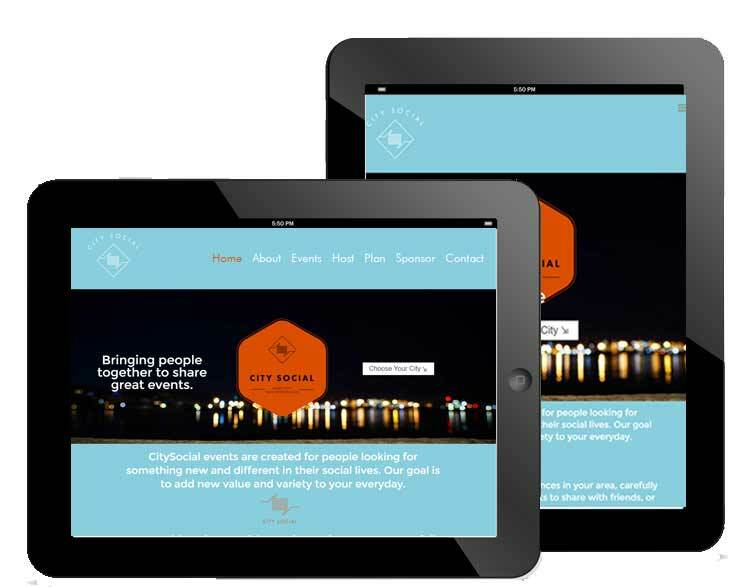 They have plans to grow rapidly into new cities, but didn’t have a brand or a web presence. 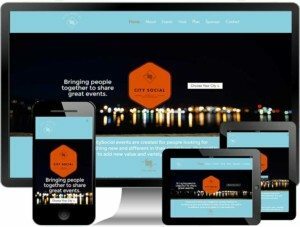 The founder of CitySocial came to The Dibraco Agency with a need for a website, but also a brand identity. Furthermore, they needed to host their own ticketing system, to help save on costs of transactions and to give their users a responsive landing page for events at minimal cost. Through a series of workshops, CitySocial was able to start to figure out their brand identity. Because of initial budget constraints, we were able to match them with a freelance designer who helped create a logo and brand guidelines. We figured out the initial functionality needed for the website and created a site architecture that met the needs for their functionality. Once the designer came up with a mock-up, we were able to implement the mock-up and functionality needed. 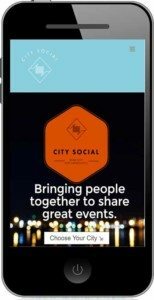 CitySocial wanted a design that highlighted their main call to action, which was to guide people quickly to their city of residence to see the events in that city. Because we wanted the website format to fit any screensize, we utilized a theme with responsive design. The tablet version also has the choose your city call to action. We actually started from a mobile first perspective on this design, meaning we designed from the perspective of a mobile device or smart phone, and extrapolated the rest of the website from that design. Users on a smart phone are able to quickly navigate to their city.